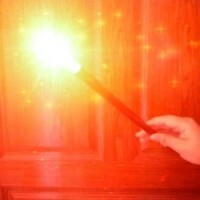 You can LITERALLY "dazzle" your audiences with this wand! With the simple push of a tiny stud, you can create a sudden burst of light to enhance a disappearance, reappearance, transposition, transformation, etc. Make a sponge ball appear...disappear...or GROW! Make a coin disappear...appear....or CHANGE! Make a silk appear. Make a card change. 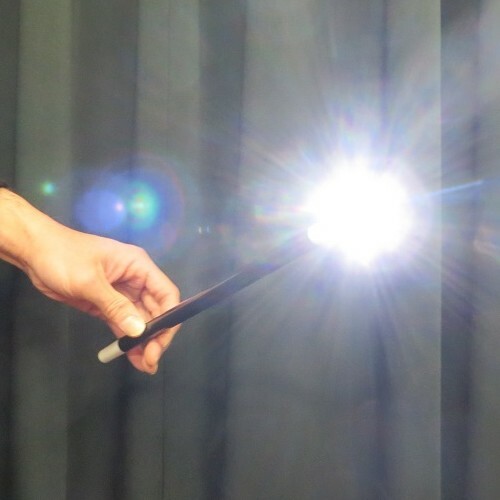 In addition, you can use this wand in conjunction with D'Lites or Flash Thumbtips or other similar devices to add even more possibilities to your routines. 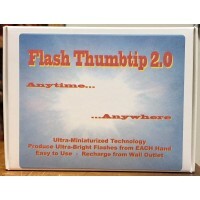 The possibilities for the Electronic Flash Wand are limited only by your imagination! Comes complete with the Electronic Flash Wand, a charger (input: AC 100V-240V, 50/60Hz) and photo-illustrated instructions. PLEASE NOTE - If you are not ordering for U.S. delivery, you MUST contact me BEFORE ordering to determine shipping options and rates. The flat rate postage fee DOES NOT APPLY to orders shipped OUTSIDE the United States. Simply send me a list of the items you wish to order and I'll get back to you with the shipping options and rates. Once you decide how you'd like the order shipped, I can send a PayPal invoice directly to you (or we can work out other payment arrangements, if necessary). Thank you! 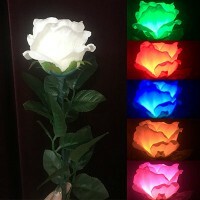 FLASH THUMBTIP 2.0 - WHITE Light - two gimmick set Y..
FIVE COLOR LIGHT ROSE - Electronic This one is just abou..
ELECTRONIC FLASH WAND - RED - Alan Wong You can LITER..